Following the events of The Three-Body Problem and facing the impending arrival of the Trisolaran’s invasion fleet in four centuries, humanity has plunged into some kind of chaos. As in all alien invasions in fiction, the extraterrestrial beings have a fatal flaw ready to be exploited by human beings, and it is the job of the four Wallfacers, appointed by the United Nation, to plot against the Trisolarans. In a story that spans more than two centuries, with the Trisolarans having travelled some two lightyears, battles taking place at the edge of our solar system, and humanity living through anxiety, despair, hope, apathy, and victory (or is it? 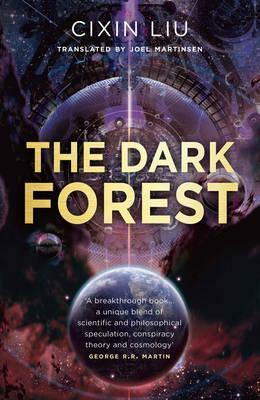 ), The Dark Forest is an unparalleled spectacle that puts itself in the league of 2001: A Space Odyssey.